Thought this was a cute idea. 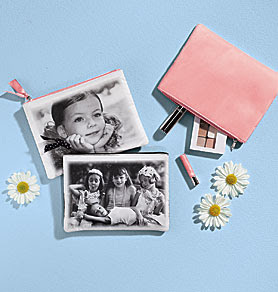 A cosmetic bag customized with a photo. A bit subtler than a purse emblazoned with loved one's faces. Wouldn't it be lovely for a grandma, personalized with a sweet picture of her adorable grandchildren? Only $20, check it out here!